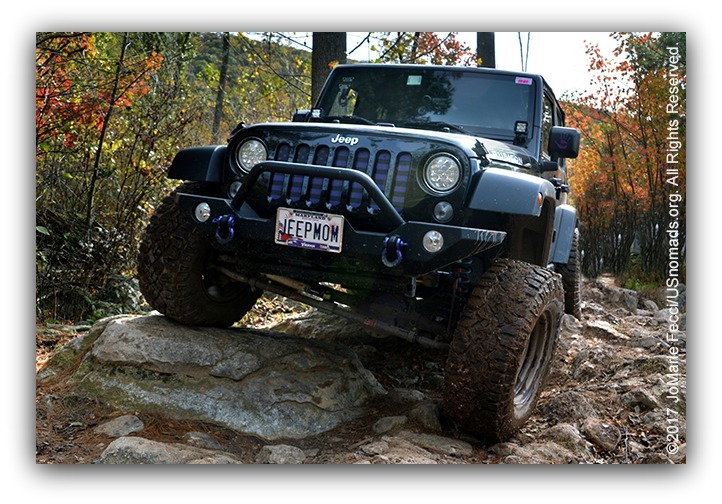 Women's Wheeling Day at Rausch Creek Off Road Park is one of my favorite wheeling events of the year. 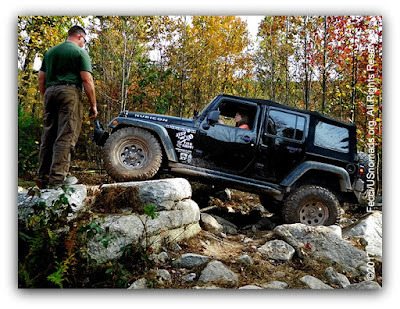 (Okay, all the wheeling events are my favorite.) 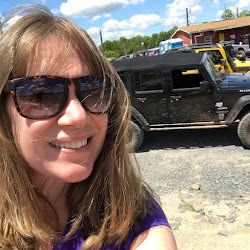 This year was my 4th year with over 200 ladies wheeling. The first event was in 2013 in which only eight women wheeled. Word spread and this event grew immensely since that first event. I came up early on Friday to help stuff the swag bags. 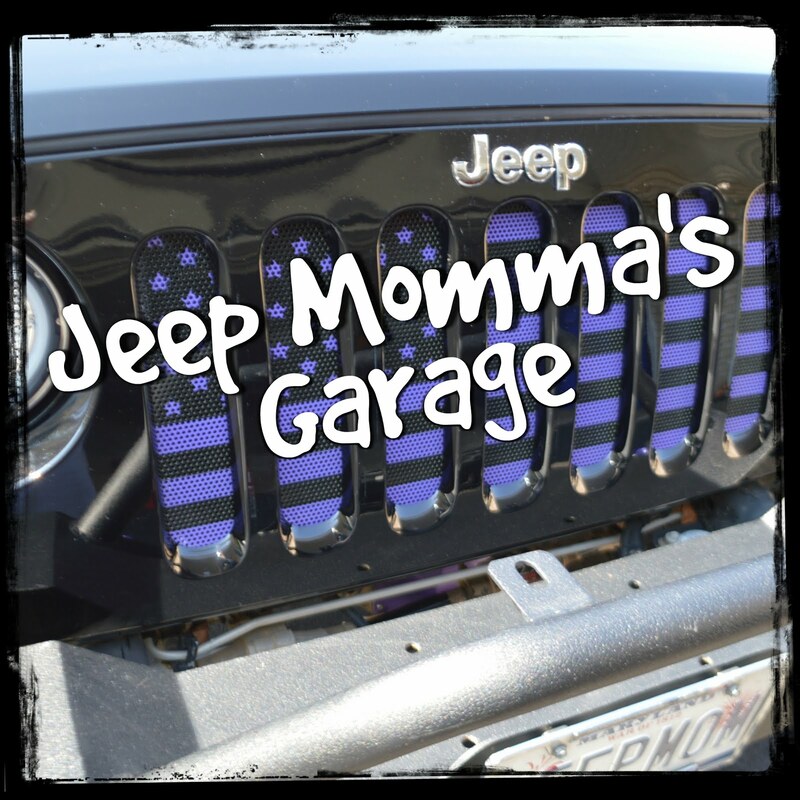 There were Enjoy Life ~JeepMomma bracelets along with purple Jeep Talk Show koozie's, among some other vendor goodies. 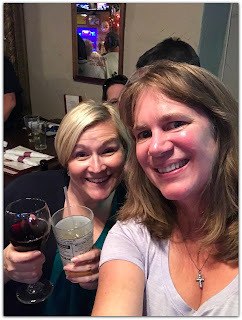 Then it was off to the meet and greet at O'Neal's Pub. It was fun to meet up with some old wheeling friends, and meet some new ones too. 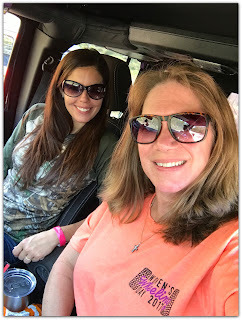 Saturday morning I was up at the crack of dawn to help out the organizers of the event, Christie with OK4WD, and Susan with Jeep Girls Rock! What a smoothly run event! I was matched up with Mandy again this year. 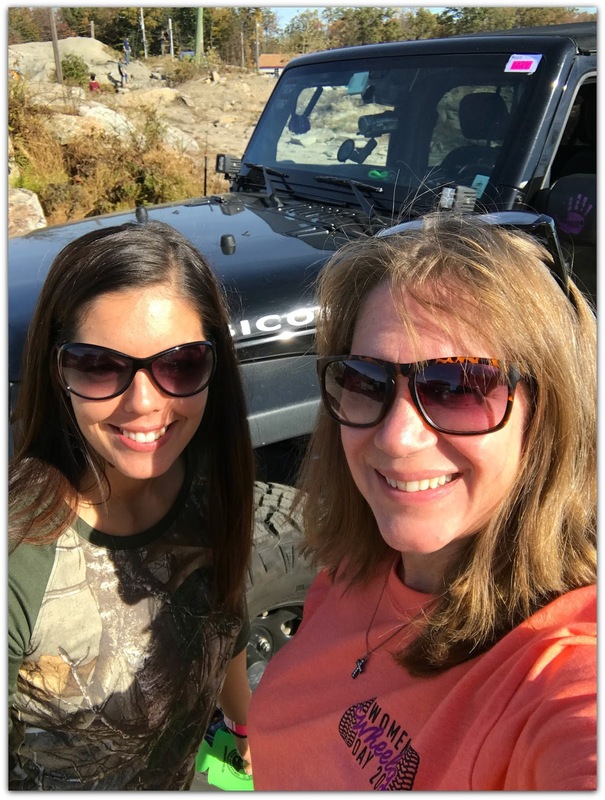 She was the Trail Guide for our group, and I was the tail gunner. We had such a great time last year we decided to team up again this year! Our group of 5 Jeeps started the day out a little different than most of the other ladies. We were part of an advanced winching and hi-lift class. 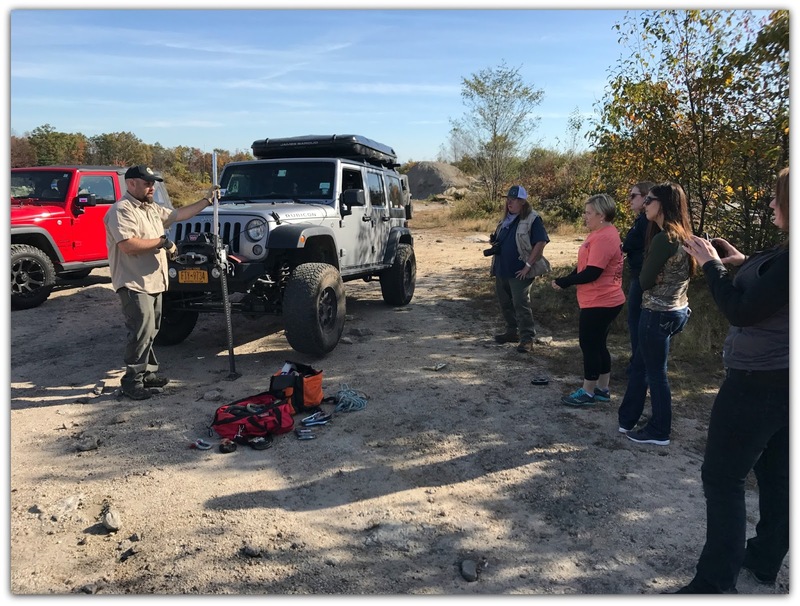 The class was presented by NORA4x4, an off-road driving school in New York. I haven't had much training in off-road recovery, so this was a great bonus for me. Jon our instructor was awesome at explaining and teaching the ins and outs of vehicle recovery. He also shared some cool tips! I definitely will be taking more of these types of classes in the future. 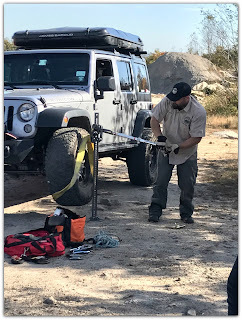 Vehicle recovery is such an important part of off-roading. Once our hour class was complete it was time to hit the trails. 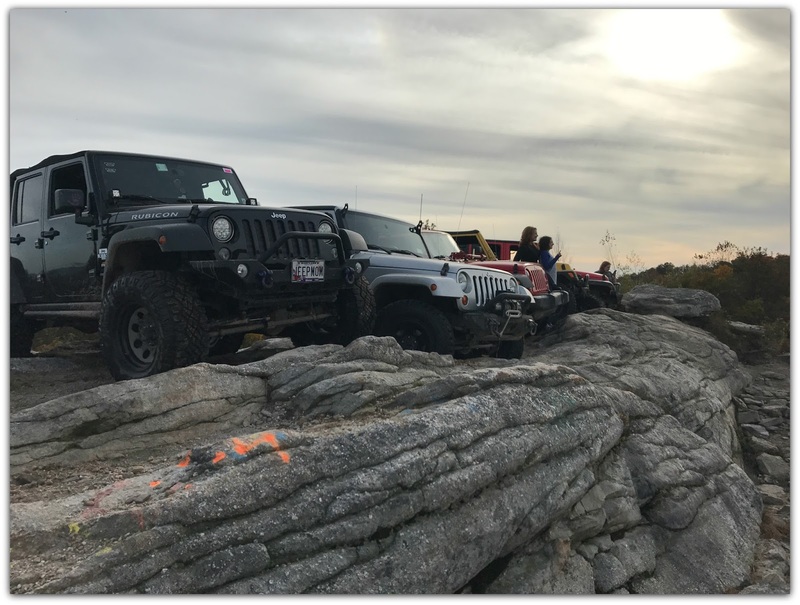 Our group of Jeeps had a wide range of drivers. 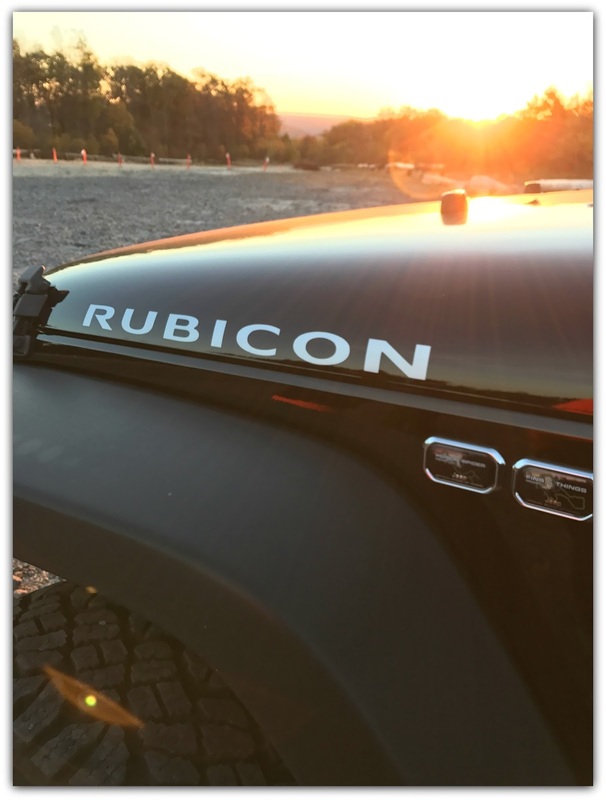 There was the little Red Jeep that could. 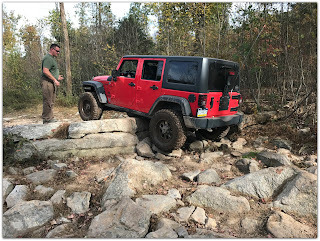 A stock Jeep hitting the blue trails for the first time! Then there was the Silver Jeep driven by JoMarie. How cool to be wheeling with JoMarie. She was a competitor in the Gazelle Rally 2014. A off-road navigation race in Morocco. JoMarie is also a photojournalist and blogger ~ USNomads.org She is a great photographer and I was lucky to get some pictures of me on the rocks. Then there was my partner in crime, Amanda. 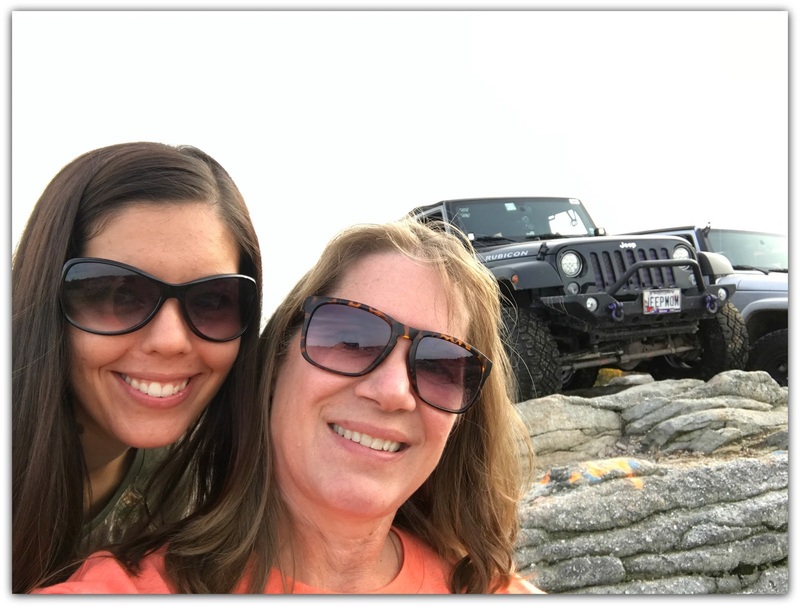 I met Amanda, a fellow Jeep mom, online several years ago. We have met up a couple of times to wheel. She is usually my co-pilot when we are on the trails. We have the most amazing time. 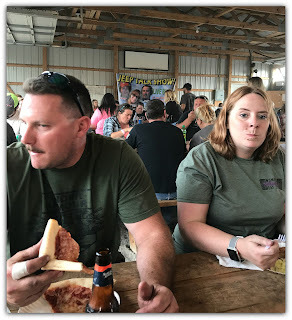 After a day on the trails it was off to the pavilion for pizza and salad provided by OK4WD, plus a very generous raffle. There were a lot of donated prizes from many awesome vendors. I was one of the first winners, something that is pretty rare for me. 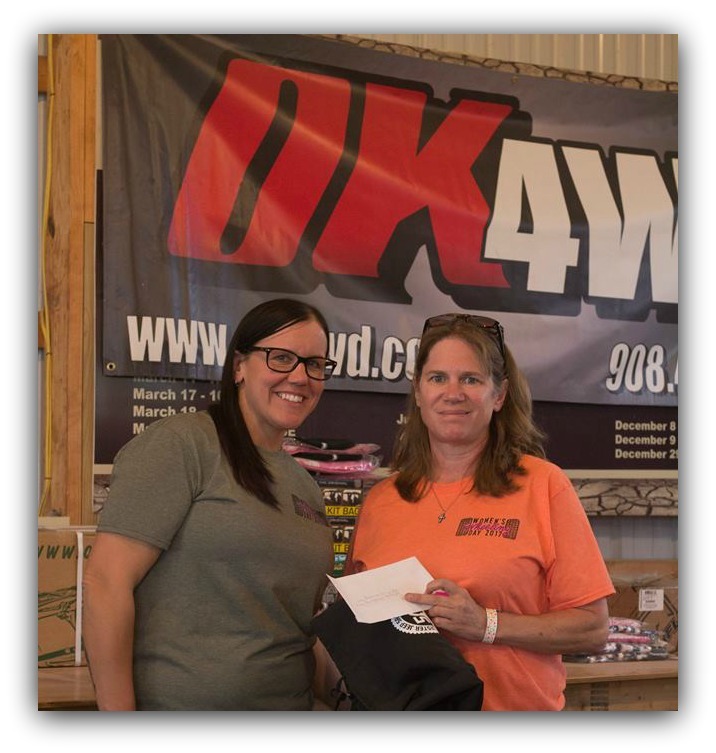 So I was pretty excited when I won a gift certificate from Northridge 4 x 4. I ended up buying myself a Bartact Fire Extinguisher Mount for my Jeep. 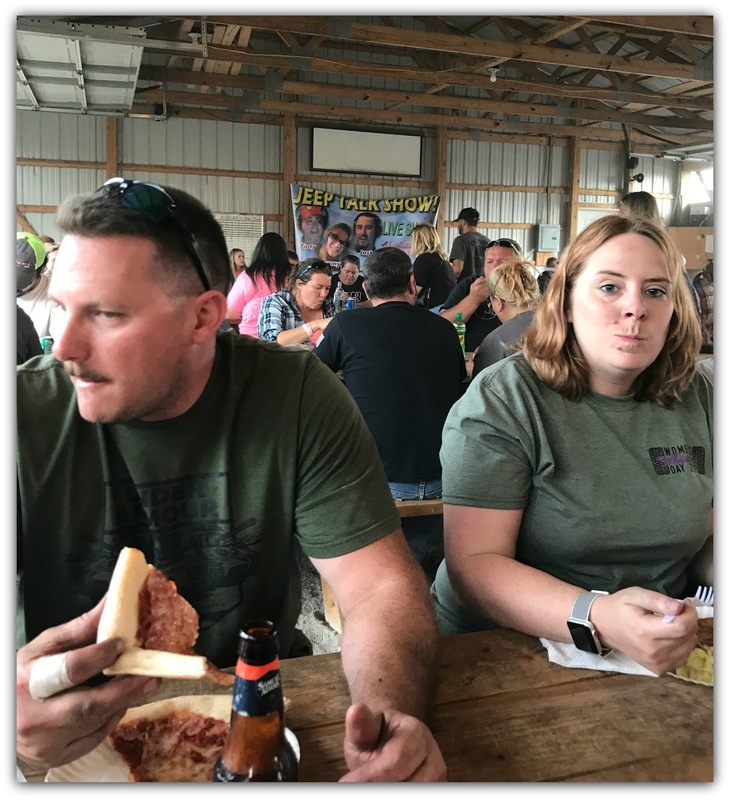 It was an awesome event! I am looking forward to next year's event. The women are absolutely amazing. I have never been a part of a group of women who are so supporting, uplifting and encouraging. 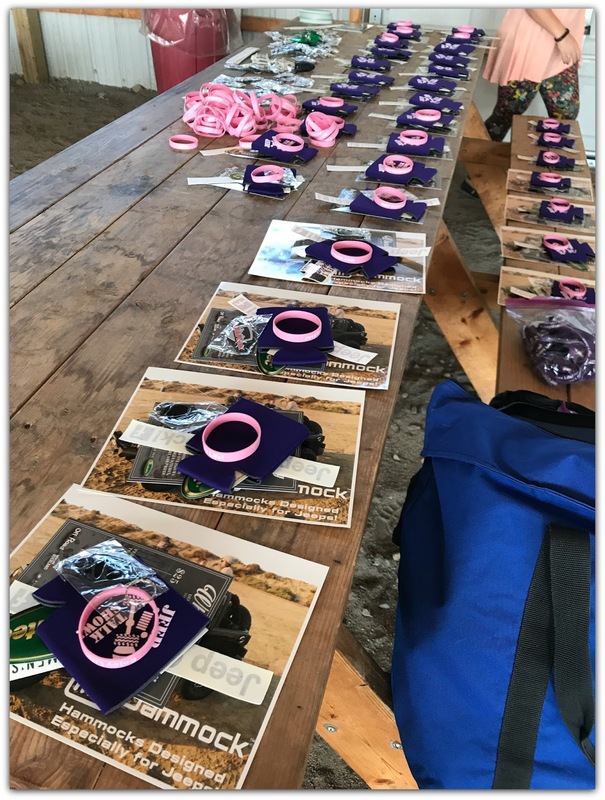 Leaving this event leaves many women feeling empowered! 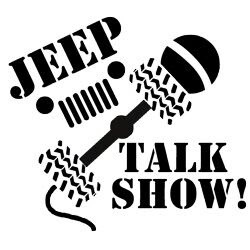 I can't express how much I love the Jeep Community.